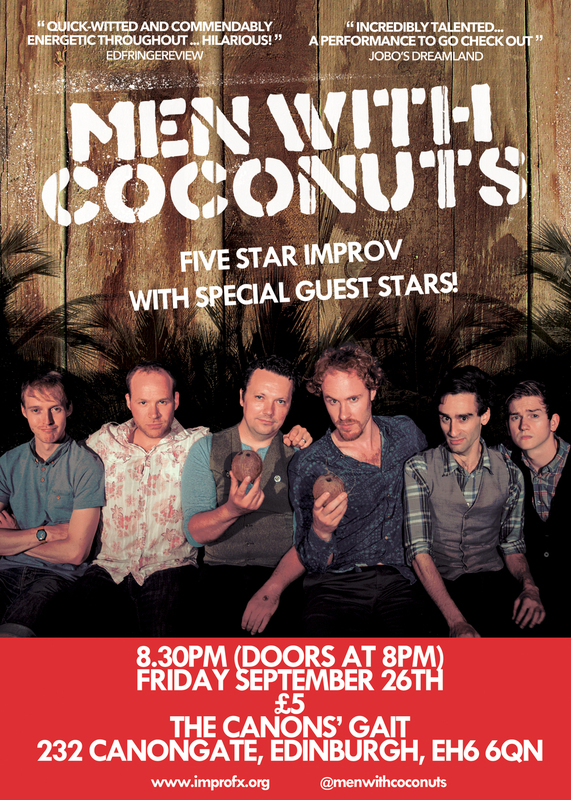 "Men With Coconuts" put on a bonus show in honour of two very special guest stars! All the way from iO Chicago and Los Angeles, the wonderful Lyndsay Hailey! And director of the Copenhagen International Improv Festival, the sublime Stefan Andersen! We were incredibly privileged to have such magnificent guests in Edinburgh with us for this one-time-only event! 90 minutes of improvised comedy games, scenes and sketches, culminating in a fully improvised Broadway musical. With a very special American/Danish/Scottish twist!